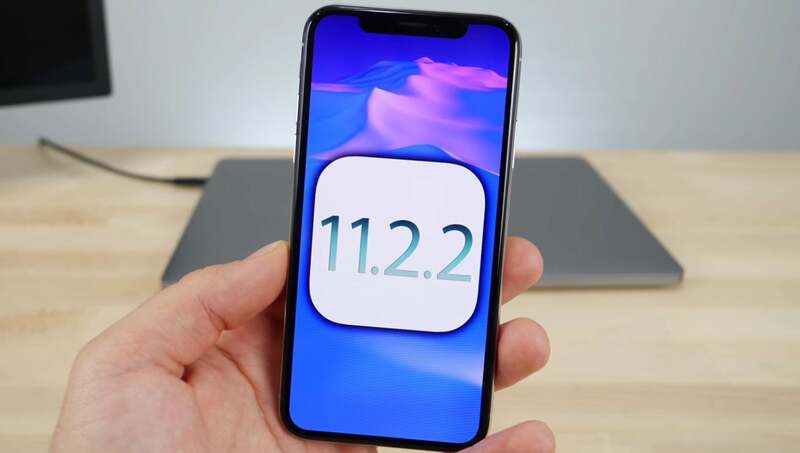 A kernel-level bug was just discovered by hacker Adam Donenfeld which may pave the way for an iOS 11.2.2 jailbreak. Adam Donenfeld is part of the Zimperium team that suggested they had found a number of bugs within Apple’s recent operating system, and it appears as if he has discovered a critical exploit that could potentially lead to an iOS 11.2.2 jailbreak sooner rather than later. In a series of tweets, Donenfeld announced that Apple had recognized the critical error and fixed it with the iOS 11.2.5 release, so it’s not currently possible to use the same jailbreaking technology for the latest operating system, but an iOS 11.2.2 jailbreak is looking pretty likely. One distinction that makes this discovery especially unique is the fact that the bug was present in the system by default and didn’t require Donenfeld to write an exploit to take advantage of it. The possibility of this recent bug find being able to interface with an existing jailbreak software makes a quick release of the iOS 11.2.2 jailbreak far more likely. Without having to build a new software from the ground up, this new bug may be able to be taken advantage of using a framework that we already have. Currently, the latest operating system build we have a jailbreak for is iOS 11.1.2 using tools such as Electra or LiberiOS. With news that Electra may soon feature Cydia support, it’s shaping up to be the best option for a modern iOS jailbreak. Whether the iOS 11.2.2 jailbreak will feature the same level of functionality remains to be seen, but the discovery of this bug is no doubt a boon for the jailbreaking community. With it now being next to impossible to roll back to an older operating system in order to jailbreak a phone, this potential new iOS 11.2.2 jailbreak will offer a viable option for those who haven’t quite made the jump to iOS 11.2.5 but are still running a recent update. The past few months have seen incredible progress when it comes to jailbreaking the iPhone and iPad. With the majority of the progress sparked by Ian Beer’s exploit, there have been a number of jailbreaking tools released in quick succession that made an unlocked phone on a modern build a much more realistic expectation. However, before the discovery of this exploit, there was a relatively lengthy period of time where jailbreaking the iPhone and running an updated operating system weren’t compatible. With a lower demand for jailbreaking due to Apple adding in much-needed features, and beefed up security that made cracking the phones far more difficult, progress on the jailbreaking front was hard won. The utility of a jailbreak solution has also been called into question, largely due to the shuttering of several large app repositories. While unlocking the iPhone and iPad is still a worthwhile endeavor, it appears as if these recent updates may not feature quite the extensive support we saw with previous jailbreaks. Unfortunately, if you’ve already upgraded your iOS device to 11.2.5, you’re going to be out of luck when it comes to jailbreaking your phone. With that said, given the incredible progress we’ve seen in the past few months, we wouldn’t be surprised if we ended up with an 11.2.5 exploit within the coming weeks as well. Considering the talent of the various hackers involved with breaking into the iOS system and unlocking it for greater control, we imagine no operating system update will stay completely locked for too long.